Saturday 15th September 2018, Turin will be talking French! At the Alliance Française of Turin is scheduled an open day: a full day speaking French in order to discover all the activities of Alliance, from courses of teaching and certifications in French for adults, children and teenagers, to cultural events, proposed in collaboration with different organizations: from big institutions to little associations. The open house day , which will take place from 9:00 a.m. to 7:00 p.m. in Via Saluzzo 60, offers a rich program of free entry activities for people of all ages. During the day there will also be the opening of the exhibition Asterix et La Transitalique, on the creation and realization of the last comics album of the series created by lbert Uderzo and René Goscinny, about a travel to Italy. 10.00 – 12.00: workshop for people of all ages with the illustrator Cecilia Campironi: A chaque pied sa chaussure/every foot should meet its shoe based on the book of the same title published by Editions Cambourakis: it is a funny role game in which every participant can tell their own story through the invention of a pair of shoes. 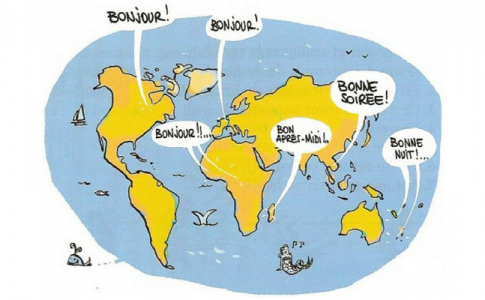 This is also a playful occasion to get children and adults closer to the French language through creativity. 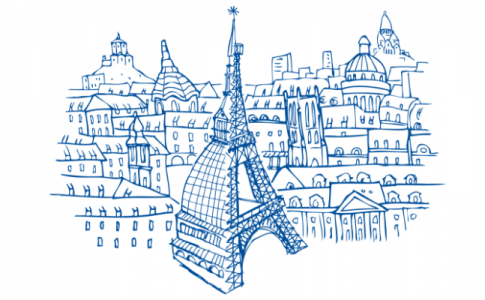 10.30 – 11.30 e 15.30 – 16.30: free trial French class, beginner level. The first 20 people enrolled in the A1 course will be given one textbook for free. Valter Malosti, director of the TPE – Teatro Piemonte Europa, for the presentation of the activities of the Season TPE 18.19 at Teatro Astra and in particular French shows and projects linked to them, developed from the collaboration with Alliance Française of Turin. Benoît Monginot, Institut Français Italia, for the presentation of the events of the project La natura in città by Urban Center Metropolitano: meetings with French landscape architects and town planners and philosophical follow-ups to study the relationship between nature and cities. Marco Ferrero, FuoriLuogo Asti, for the presentation of the scheduled events with French authors and activities in collaboration with Alliance Française of Turin. 9th November 1918 the French great poet, playwright and writer Apollinaire died. The Alliance, together with the Dipartimento di Studi Umanistici of the University of Turin, the “Centre for Modern European Literature” of the Kent University (UK), and the department of “Lettres modernes” of the Paris Nanterre University, organises some initiatives to illustrate the experiences of the first historic avant-gardes in Paris during the First World War. An international conference at the Rettorato dell’Università degli Studi di Torino with the title Métamorphoses d’Apollinaire- Metamorfosi di Apollinaire. The academic rendezvous, which will take place Monday 22nd and Tuesday 23rd October 2018 in the Sala Principe d’Acaja del Rettorato, wants to analyse and compare how the work of Apollinaire was accepted during his life and in the decades that followed, till today. How did the pseudonymity, the faces and the masks that the poet wore encourage an acceptance made of evolution, continuity, breakings, metamorphosis and transformations? These questions will inspire the conference Métamorphoses d’Apollinaire – Metamorfosi di Apollinaire, which will involve scholars from national and international research centers. The person to refer to about the event is Franca Bruera of the Dipartimento di Studi Umanistici of the Università di Torino. An exhibition at the GAM with the title Apollinaire e le avanguardie europee, in the Wunderkammer of the Galleria d’Arte Moderna of Turin. You can visit it from 4:30 p.m. of Monday 22nd October 2018. A show at the Teatro Gobetti /Teatro Stabile di Torino. The pièce, Les Mamelles de Tirésias of the playwright Apollinaire, will take place Monday 22nd October, at 7:30 p.m. at the Teatro Gobetti in Via Rossini 8. The show will be in French with Italian subtitles. Francofonia 2018 in Turin: March will be the month of French. The Alliance Française of Turin will be the main character of a series of cultural proposals dedicated to the French-speaking world: a group of speakers that today is around 274 million people, with a forecast of a growth that could reach 700 million people within 2050, making French the second most widely-spoken language in the world. Alliance Française, with the cooperation of the Università degli studi of Turin, the Institut français Italia, the Università Italo-francese and the Liceo Francese Jean Giono, has created a timetable of events in different Universities, but also in cultural places like the Cineteatro Baretti. Among the planned initiatives there will be a series of meetings with the authors Anne Tréca and François Beaune, a film screening in original language, a live show and a group dictation. As part of the French cinema in original version (with Italian subtitles) La Rencontre de l’autre, dedicated to the topic of otherness, proposed in collaboration with the Institut français Italia, the Università degli Studi di Torino and Università Italo-Francese, the film Hope by Boris Lojkine (2013) will be screened. SYNOPSIS: Léonard flees from Cameroon, Hope from Nigeria. After crossing the Sahara they arrive in Morocco where they have to face injustice, racism and violence. Even if they are wary at first, they will learn to know and then to love each other, and together they will try to meet the challenges of the journey from Southern Morocco to Europe. Free entry until all available seats are taken. In the context of the Mercatino Regionale Francese, there will be Ateliers and free activities for everyone, free level tests and promotions for those who sign up for French courses after taking the test during the event. Free participation until all available seats are taken. Cosmopolites , the association of students, presents the Conversation with Anne Tréca, an interview with the French-Italian journalist and the launching of her latest book Les métamorphoses de l’Italie depuis 1945, published by Ateliers Henry Dougier. An educational meeting proposed in collaboration with the Università degli Studi di Torino and the Institut français Italia, to confront the French language in writing, through a large group dictation. Magic and illusionism show in French (understandable also by those who don’t speak French) proposed in cooperation with the Liceo francese Jean Giono. The Institut français Italia in cooperation with the Università degli Studi di Torino proposes a meeting with the French writer François Beaune, that will present the project “Histoires vraies de méditerranée”, aimed at collecting stories in the Countries that overlook the Mediterranean. The exhibition of Bruno Fert “Percorsi interiori. Fotografie e raccolta di testimonianze”, will be inaugurated today, Thursday, 15th February, at 6pm, at the Alliance française of Turin (Via Saluzzo 60). Fert, French photojournalist, will give a voice to the stories of men and women who are fleeing from poverty and war with a photographic project achieved in collaboration with Medici Senza Frontiere. Fert tells the stories of migrants, takes photos of the interior of the tents and temporary facilities in which they found shelter. They are portraits of men and women, of the places in which they live: dwellings furnished with few things brought to the camps in Greece and France as memories of previous lives. “I decided to meet migrants that cross the Mediterranean to seek refuge in Europe, photographing the interiors of their refuges in villages – or “jungles” – both in France and in Greece, and I collected their stories thanks to the collaboration with MSF”, explains Fert. “Dwell is something that we all have in common. Temporary shelters of migrants reflect their personalities in the same way our houses reflect us. I would like people to relate to this common denominator, to enter the house of someone else observing where he/she lives”. François Dumont, manager of Communication and Advocacy of MSF, will participate at the inauguration to present the commitment of the organization on the topic of migration and to share the testimonies of the people that were helped thorough the migratory route, from the countries of origin to the European borders. The Group of Turin of Medici Senza Frontiere will also offer the try of the viewers at 360 degrees of the Milionidipassi Experience, experience of the exhausting trips of migrants on land and sea, and of the terrible conditions of the refugee camps. “ We want to put people in the shoes of people that are forced to hit the road, often putting their own life at risk, with the omen that this experience will involve people in helping vulnerable people that we meet every day even in our cities”, explains François Dumont of MSF.